It is the world's most widely recognized weapon, the most profuse tool for killing ever made. More than fifty national armies carry the automatic Kalashnikov, as do an array of police, intelligence, and security agencies all over the world. In this tour de force, prizewinning New York Times reporter C. J. Chivers traces the invention of the assault rifle, following the miniaturization of rapid-fire arms from the American Civil War, through World War I and Vietnam, to present-day Afghanistan, when Kalashnikovs and their knockoffs number as many as 100 million, one for every seventy persons on earth. It is the weapon of state repression, as well as revolution, civil war, genocide, drug wars, and religious wars; and it is the arms of terrorists, guerrillas, boy soldiers, and thugs. It was the weapon used to crush the uprising in Hungary in 1956. American Marines discovered in Vietnam that the weapon in the hands of the enemy was superior to their M16s. Fidel Castro amassed them. Yasir Arafat procured them for the P.L.O. A Kalashnikov was used to assassinate Anwar Sadat. As Osama bin Laden told the world that 'the winds of faith and change have blown,' a Kalashnikov was by his side. Pulled from a hole, Saddam Hussein had two Kalashnikovs. It is the world's most widely recognized weapon-cheap, easy to conceal, durable, deadly. But where did it come from? And what does it mean? 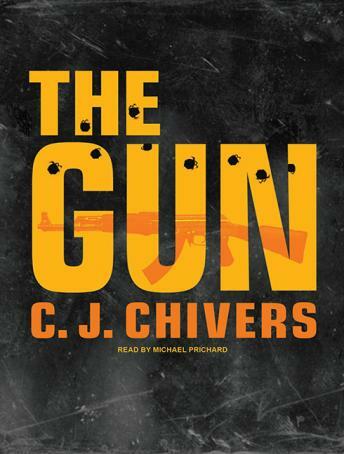 Chivers, using a host of exclusive sources and declassified documents in the east and west, as well as interviews with and the personal accounts of insurgents, terrorists, child soldiers, and conventional grunts, reconstructs through the Kalashnikov the evolution of modern war. Along the way, he documents the experience and folly of war and challenges both the enduring Soviet propaganda surrounding the AK-47 and many of its myths.